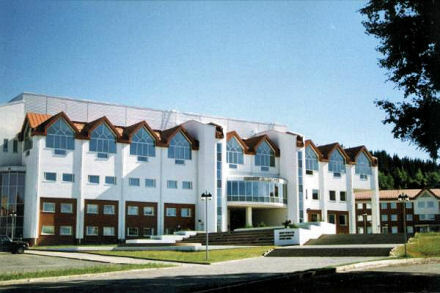 Competition will take place in the Concert Hall. The Winter Hall represents magnificent spectacle. A great amount of natural flowers and ornamental fountains create an atmosphere of comfort. Glass stairs connect floor of the Hall. Solemn events such as Governor’s receptions, graduation parties etc. are held in the admirable interior of the Winter Hall. Press-centre will be situated on the ground floor of the building, and wll have all the necessary equipment: computers, network cable for the Internet connection. On the first floor cafe is situated. The Art Centre operates in the town for several decades. Its main aim is to keep original culture of northern peoples, folklore, to conduct expositions of amateur artists, craftsmen of ornamental art. Since the year of 2001 the Art Centre is associated member of UNESCO schools. 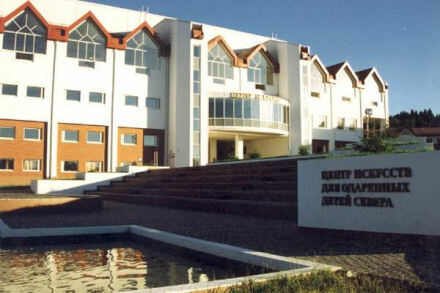 Nowadays, the structure of Art Centre includes boarding school, art school, Art and Culture College, concert complex, educational and methodic office. Education is held in three departments: musical, artistic, choreographic. Pupils of the Art Centre can get the higher education in affiliates of three Institutions of Higher Education: Ural State Architectural and Artistic Academy, Moscow State University of Culture and Arts, Russian Music Academy named after Gnesinykh.